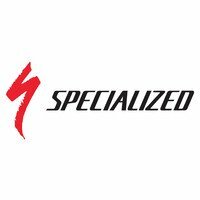 The Specialized Terra Pro 2BR cyclo-cross tyre is made for muddy conditions. The low, well-spaced knobbles make this one fast, grippy, self-cleaning tyre. The lightweight, foldable bead is butyl wrapped to make the tyre tubeless ready. 2BR means 2Bliss Ready - you can run this tyre tubeless with sealant or with a regular inner tube. Recommended tyre pressure: 45-90 psi. Approximate weight: 400g based on weighing a Specialized Terra Pro 2BR 700x33 Tyre at Bike Co-op HQ in November 2015.